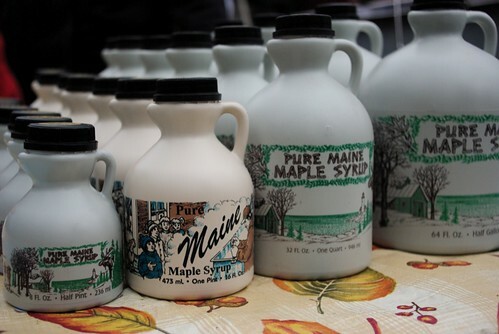 Every year, the 4th Sunday in March is celebrated state-wide as Maine Maple Sunday. Which is yet another reason to love Maine. 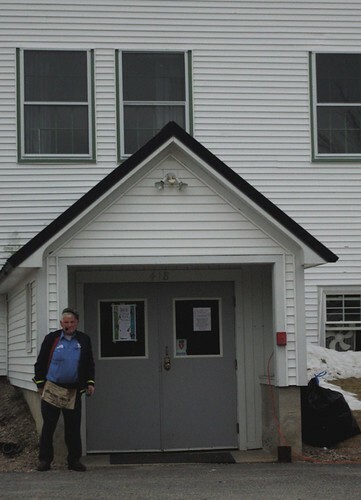 Last year, Mr. Cleaver and I visited Merryfield farm in Gorham. 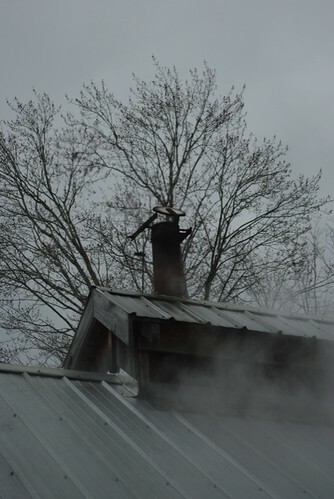 This year we cast our syrup-seeking net a bit wider and drove out to Sebago to get our sap and sugar fix. And boy did we ever! 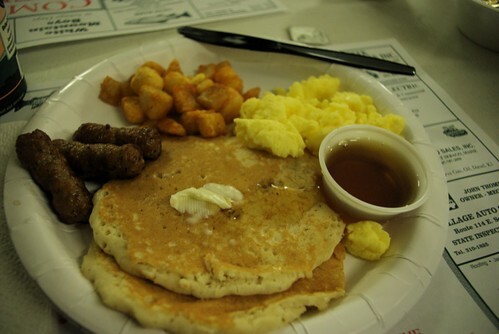 We started off our morning at the Sebago Town Hall for a tasty pancake breakfast benefiting the local fire department. The fire chief himself served Mr. Cleaver his coffee. The hall was packed to the gills with locals, with a few sundry outsides like ourselves. 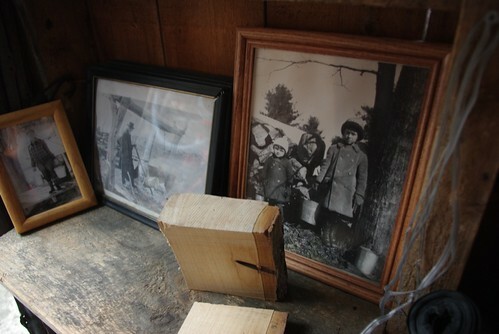 After we'd filled our bellies we drove about five minutes up the road to Greene Maple Farm - where six generations have been turning sap into syrup. 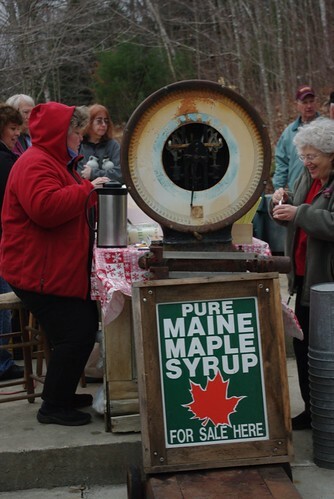 Teenage boy in shorts: "It's cold"
His sister: "It's always cold on Maple Sunday!" 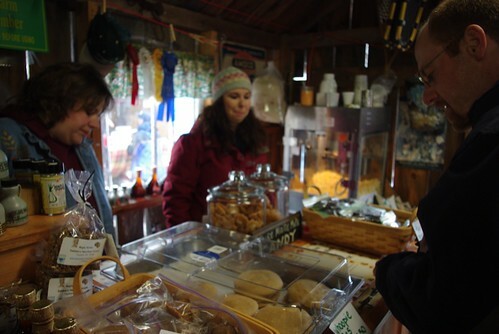 At Greene's we sampled warm maple syrup over homemade vanilla ice cream and picked up a pint to take home. 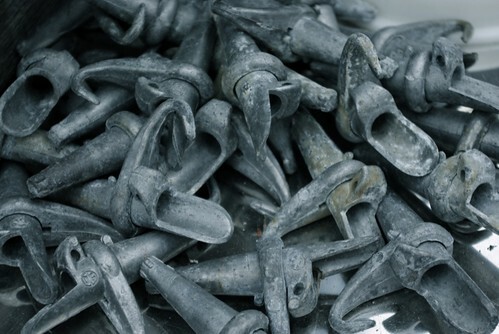 A pile of tree taps. 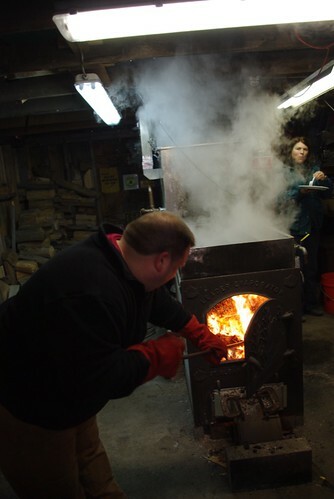 Next we stopped at Grandpa Joe's Sugar House over the line in Baldwin., where the Murch's have been in residence since 1916 and making maple syrup since the 1980s. 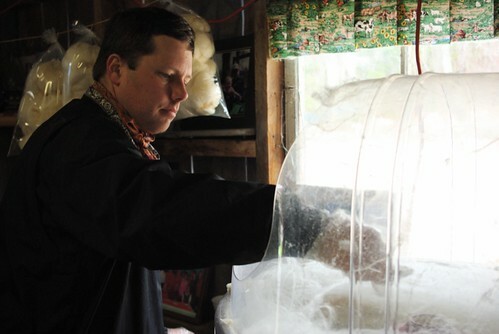 They had a plethora of goodies at Grandpa Joe's and we came out with some more samples, some maple sugar candy, and, Mr. Cleaver's favorite, maple cotton candy. Though some strange weather patterns (mostly a string of unseasonably warm days) has significantly cut back on the sap run this year, everyone was proud to demonstrate their craft. 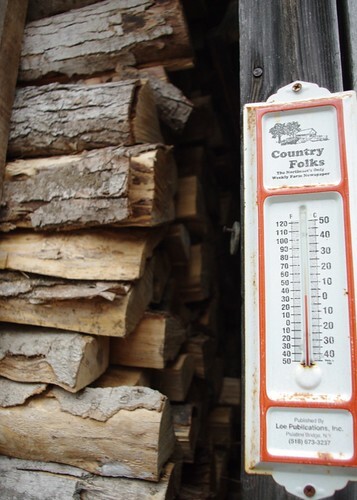 And visitors were glad to stand by the fire, which runs around 214°F/101°C. 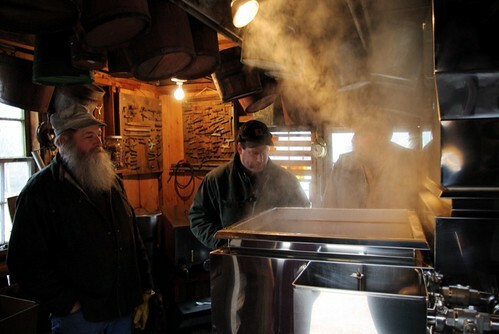 There may be no more beautiful sight than the stea rising from a Maine sugar house on a cold spring morning.